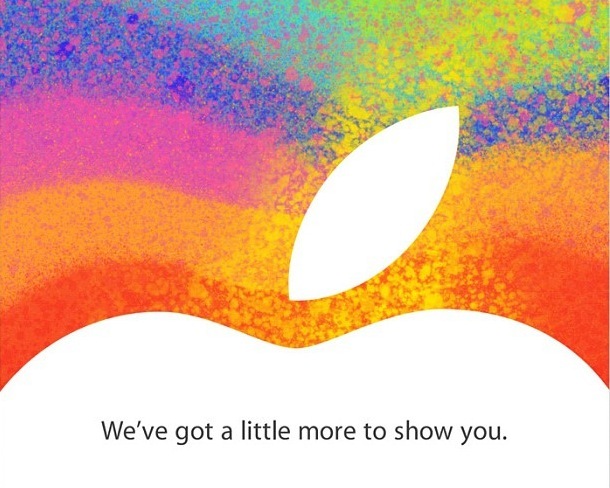 Apple has issued invites to an event later this month, reports The Loop. The event invitation says “We’ve got a little more to show you” and will take place on October 23rd at 10AM PST in San Jose. Rumors of an iPad mini have been swirling since early this year, and have gained steam in recent weeks. The introduction of the iPhone 5 and new iPod touch models has done nothing to sate the mill. Reports as recently as this week have claimed that Apple suppliers have received orders for over 10M of the devices during the fourth quarter. We will, of course, be bringing you all of the news from the event. We’ve heard through various sources that this event will be focused on iBooks to a large degree, which makes sense given the potential for a smaller iPad to be a media consumption device.